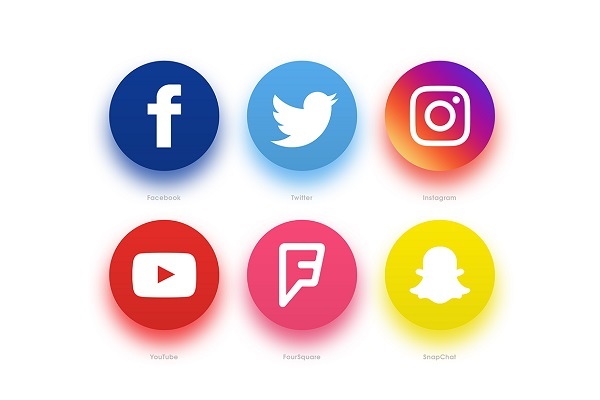 Today is a prime time for social media: Facebook, Snapchat, Twitter, Tumblr, YouTube, and many others have developed past the level of simple recognition into separate markets of influence. At the same time, they have continued to expand from websites into multi-platform services. And while making another Facebook-like app is a piece of cake, luring in 2 billion users is not. It’s near to impossible, to be honest. But what makes it so difficult to build a new social media into a successful business? The answer is quite obvious. It is the value your application brings to the user. The value of social media lays within the connections people make and retain with its help. If you still aim at creating your mobile social network, then read on. 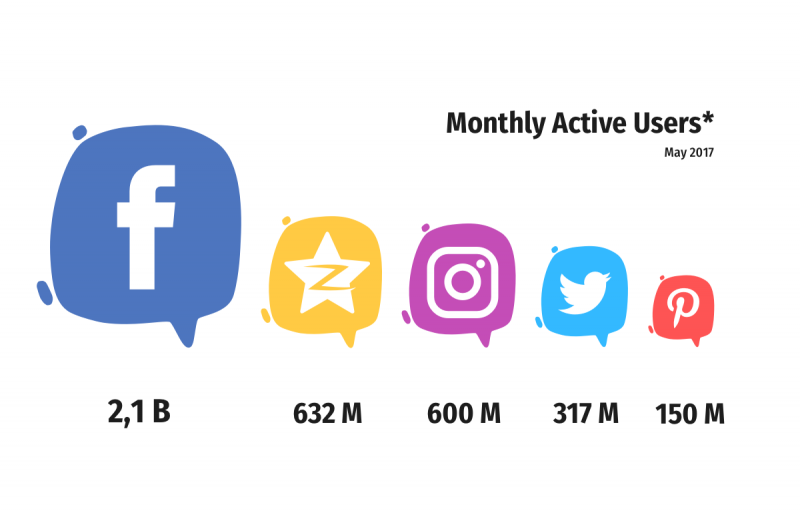 In this article, we are going to tell you how to make a social media app, where to begin and how much the MVP is going to cost. As a rule, users tend to work with the same apps they use on the everyday basis. That is especially true when talking about social media. Of course, some would install the new app out of pure curiosity, but no one is going to come back to a raw Facebook when they have the original with all their friends and acquaintances. To succeed your idea should have a sturdy backbone. Don’t try to get a hold of everyone on the planet, narrow your focus to a particular target audience and study its needs. Maybe the global market leaders have already been decided, but there are a lot of niches yet to be taken. On the average, a user uses from 9 to 10 apps on a dailybasis. The platform you choose for the social networking app development is determined by the target audience. For example, Android holds the 80.7% of market all over the world compared to 17.7% for iOS. Despite that, Apple has a loyal user community which is generally more interested in giving a chance to novelty products. Moreover, iOS applications still bring twice as much revenue. 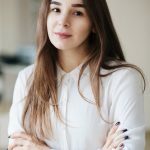 Whereas, despite having a quite simple launching process and higher profits from advertising, developing an Android app takes more time and funds. Plus, it’s quite a bother to make sure that application is the same on different Android devices. Nonetheless, no matter what platform you decide on, we at IDAP stick to the native app development. It allows reaching the highest levels of performance, ensures that UI/UX meets the standards of the operating system, and makes all processes run smoothly. When you first introduce a new user to the application, it is important to ensure they can create a personal account with an e-mail or with an existing social media account. In a case of an MVP, going with a social media option is the least time-consuming option. But it depends on how you feel about connecting a third-party social media to your app. No harm would be done in case you are developing a niche app. However, if you plan to outrun Facebook and his buddies, then settling with a social media integration is a no-go. Setting up the authorization is going to take approximately 50 hours. Users need to be able to add, edit, and remove the information they put on profile e.g. a profile image, date of birth, interests, favorites and so on. Time needed to add a User Profile feature – 75 hours. Apart from having a personal profile, the user needs to have a page that shows their personal information, contain all posted content and the latest changes. Developing a User Page – 40 hours. Social networks are all about individuality and showing off personality through text posts, photos, video or audio content. Therefore, posting is the most valuable feature of any social media. Implementing posting is going to take about 60 hours. Another important trait for any social media application is communication between the user community. Leaving comments, giving feedback on posts, liking or disliking content – all of it makes user stay a little bit more. Adding features for tagging a conversation partner, attaching media content to the reply or reposting something are going to increase the chances to win over the audience. Feedback feature will take 75 hours. The feed is the first thing users see as they open the application. Since it takes the main screen, here users should be able to post updates, review the latest news, leave comments and likes, and so on. Our team makes sure to pay special attention to aligning every element so it stays within the frames of application’s design. We work on creating exceptional and consistent user experiences. The news feed is one of the most time-consuming functions, nearly 110 hours. For an MVP, messaging feature may be implemented similarly to texting. 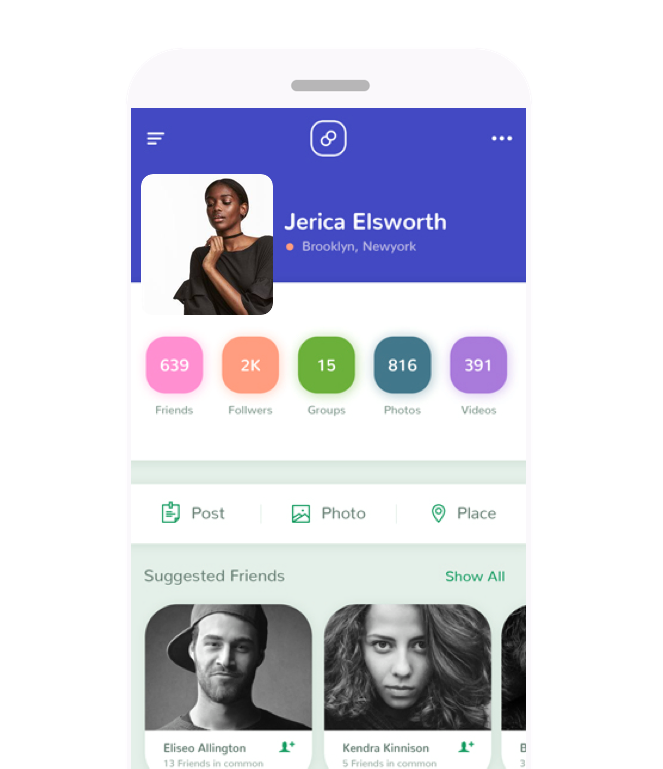 Later on, as the app gains followers, you can start adding stickers, gifs, and other engagement content. Texting is not that complicates, takes about 50 hours. More than showing off, people like to find people who share their interests. Providing ability to join into communities or organizing events is also a special trait of any social network. Creating communities and events requires 60 hours. Once more and more people become engaged in your app, they will want to know who else uses it. Provide users with an opportunity to find others by name, age, location, interests and any other filters you find useful. Advanced search is quite a demanding feature that needs 110 hours of development. If you plan to stay within the limits of your homeland, there is no reason to add multi-language support to the app. However, if you want to enter the global market, remember that a fair share of users falls on Europe and Asia Pacific regions. An English-only app version is going to limit your visibility in the foreign markets, thus reducing your global market share. It is important to consider localization at the early stages of application creating, as the design heavilys depend on the content within the app. The languages differ in the longevity of words, grammar, syntax, and punctuation. So if you want to have a coherent and cool-looking app, make sure design is flexible enough. When the MVP is complete, it’s time for beta-testing the application with the help of a selected user base. The minimum viable product contains the minimum of essentials features needed for the target audience to assess the app. By creating the social media app from a prototype to an MVP and later turning it into a finished product, you save time and money. Once you receive a feedback about the product, you can fix and finalize it. We are going to add missing features and improve the user experience. It is worth noting that testing is an ever-lasting process. You will continue to introduce updates to match innovated operating systems and devices. There is no definite way to estimate how much time and money the development of a social media app requires. There is no fixed price on such apps, that’s for sure, as expenses significantly depend on the company you hire, the complexity and a variety of features you wish to put into the product. Talking from the perspective of a tech vendor, we may say that creating an MVP of a social media application takes about 3 to 5 months. Knowing this and having the list of the features for a basic MVP, you can get a rough estimate of how much a development of social media app is going to cost. Just multiply the number of hours per feature given below on the hourly rate of the company you decide on. Social media app development is not something to underestimate. Many try to beat the current market dominators, but almost all of them fail. Yes, there are ambitious start-ups that have rocked the world and skyrocketed to the top. Tey, that happened because they introduced a new valuable product no one has thought of before. Users do not need another Twitter of Facebook clone. Study your users and become a pioneer with something unusual. Once the user becomes your primary goal, you will know what to do. IDAP will be glad to join you in creating a perfect social media to turn the world upside down. If you already have an idea in mind, but do not know what it takes on the tech side – contact us.